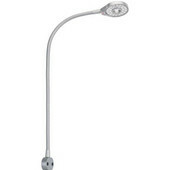 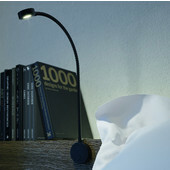 Reading Lights are prime lighting options for reading, writing, or working at your desk or in bed. 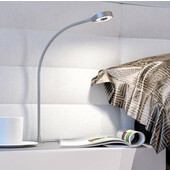 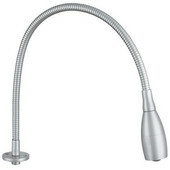 At KitchenSource.com, our selection of led reading lights will brighten your office or workstation while remaining stylish. 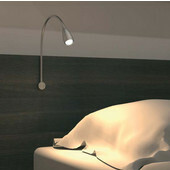 Flexible arms easily allow you to focus lighting directly where you need it for control of your illumination. 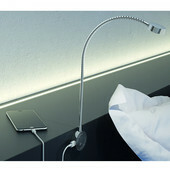 The flat bases offer stability and mobility or mount to desktops or beds for added security. 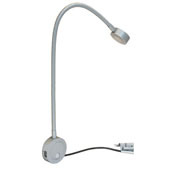 Our functional line of reading lights offer low-glare luminosity for your desk and are smart lighting solutions for any home office or bedroom area.